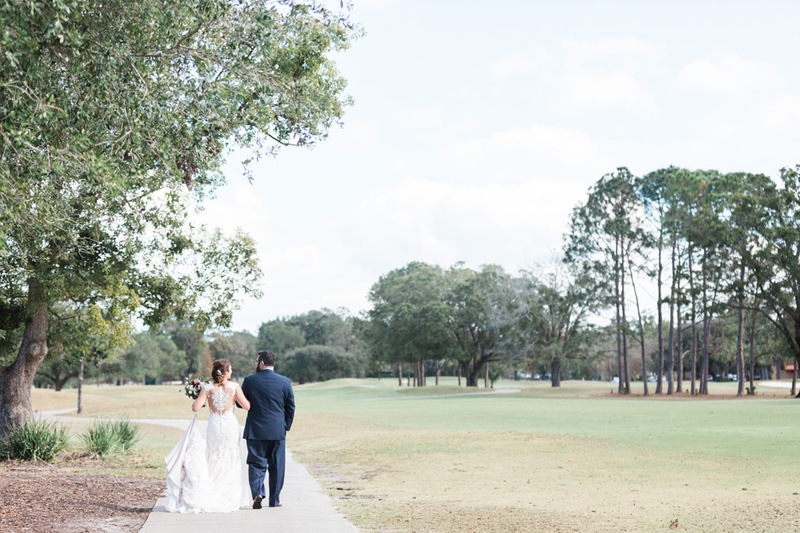 Tiffiany + Scott were recently married at the Dubsdread Historic Ballroom in Orlando, and we were so honored to spend the day with them! They had an early wedding, with the ceremony beginning at 11:30am, which made the reception one of the most spectacular brunches we’ve ever seen! 🙂 Expert Photographer Amy was there to document the details of this special day, and she did such an amazing job. These are just a few of our favorites from the day! 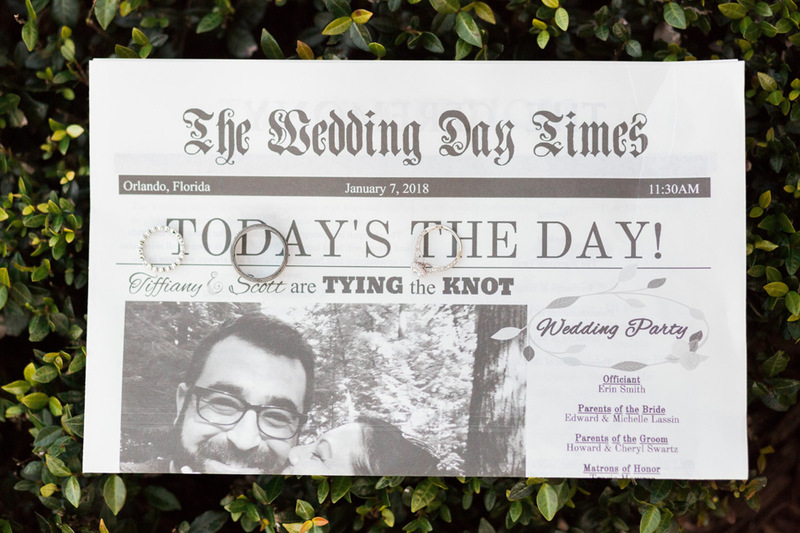 I love this newspaper commemorating Tiffiany + Scott’s wedding day – what a unique and cool keepsake! Tiffiany looked absolutely stunning in her wedding gown – I love all the button details on the back. Tiffiany + Scott’s wedding ceremony was held outdoors near the Dubsdread Historic Ballroom. That tree makes for an amazing backdrop! I love it when a couple can laugh together during their ceremony! The Dubsdread Historic Ballroom looked amazing for the wedding reception! 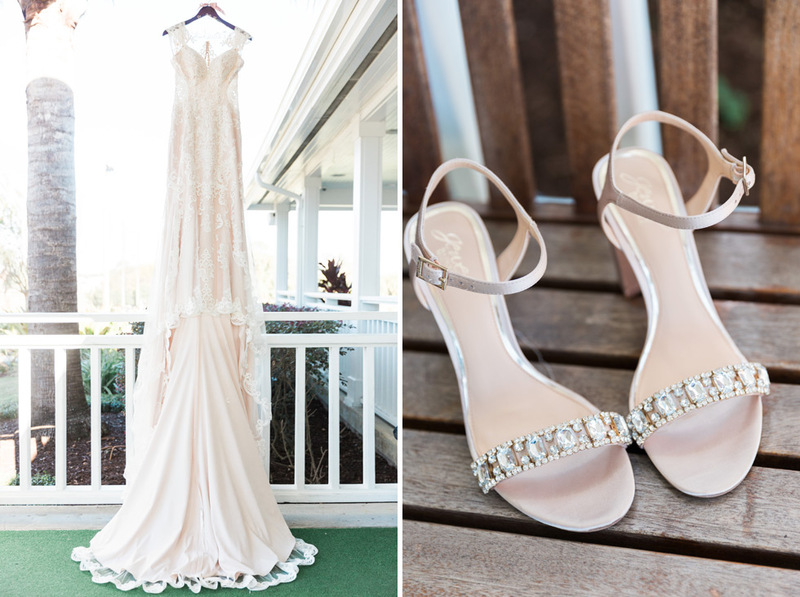 I love the gorgeous details that Tiffany + Scott used! Congratulations on your wedding, Tiffany + Scott! Thank you for choosing us to celebrate this special day with you!